It has been two years living in Munich and even today, the city is able to hypnotize me with its unending mysteries and secrets that I endeavor to unravel every day, much like a child opening a Christmas present. I was hooked from day one. From the moment I landed after the seven hour flight from New Delhi, German efficiency had already won me over. Compared to the long lines for immigration in India, German immigration and airport formalities were a cake walk and after collecting my luggage I was out within 20 minutes, greeting my husband. ‘So far so good!’ I thought. Little did I know that this city that was to be my home for the next few years already had its plan laid out to make me fall in love. Amply endowed with greenery and expanses of gardens and parks, studded by the majestic English Garten that extends from one end of the city to the other, and the serene river Isar cutting across it, Munchen, exudes a subtle magic in its beauty that is simply alluring. Nowhere else in all my ample travels have I come across a city in which in one instant I feel like I am in a country side or a forest with rolling green fields and in the next instant I have stepped out of that illusion and into a city center with a gigantic church, cobbled streets, beer halls, offices, shops, cafes and so on – all those traits synonymous of a European city. For me, Munich’s charm lies in that flexibility and choice it extends to its inhabitants – from sun bathing by the beach in summer to skiing trips in the winter, Munich is every kind of holiday rolled into one! Winter or summer, the focus on all things outdoors unflustered by the weather, greatly draws me to the city. 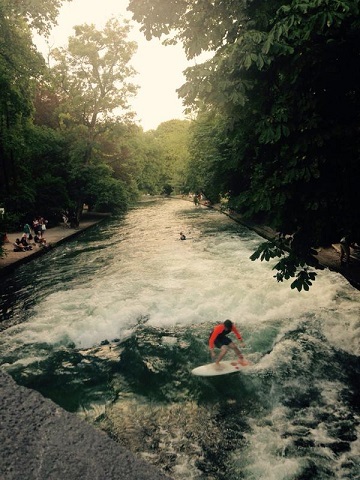 From table tennis tables laid out in parks to floating in the river Isar and even a bit of surfing at the popular and impressive Surfer’s Spot in The English Garden, there is plenty to do in the few summer months before the overbearing winter sets in. My husband bought a tube float and we managed to indulge in a bit of river floating ourselves which is the perfect way to cool off on a summer weekend. Unlike many other European cities, Munich is a city for the cyclists and boasts wide and ample cycle paths. One of our first purchases after moving here were our own cycles that are a joy to ride in this spacious and lush green city. And it is not uncommon that I wake up every second or third day to some loud music from the occasional street festival minutes from our neighborhood. 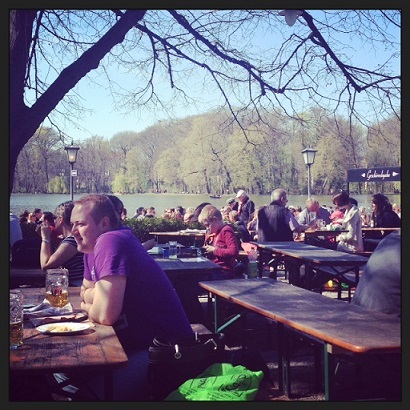 From the many Wursts or sausages and beer breweries that Munich houses, offering the most delicious beer most of us have ever tasted, to outdoor music concerts and streets buzzing with street artists, rock bands and general high spirits, the happiness induced by the summer months is palpable. Then comes the grand Oktoberfest – the mother of all beer festivals! I finally got my chance to visit this king-sized carnival with the unending rows of gigantic beer tents and the throngs of people literally from all parts of the world who book tickets a year in advance to be a part of this sensational event each year. Wearing the traditional Dirndl and Lederhosen Bavarian outfits, 6.3 million people consumed 6.5 million liters of beer at Oktoberfest in 2014 according to statistics – and these figures are a reduction from the year before! The harsh winter does not keep everyone indoors either. My first winter here, I was fascinated by the quaint, charming Christmas Markets all over the city, exuding the spirit of the holiday with bright lights, jingles and delicious, hot Gluh Wine. And what one discovers living in European city like Munich is that it is not as much in the bigger, better known restaurants, squares and social haunts but in walking down unknown, smaller streets and corners that you end up making some of the best memories. 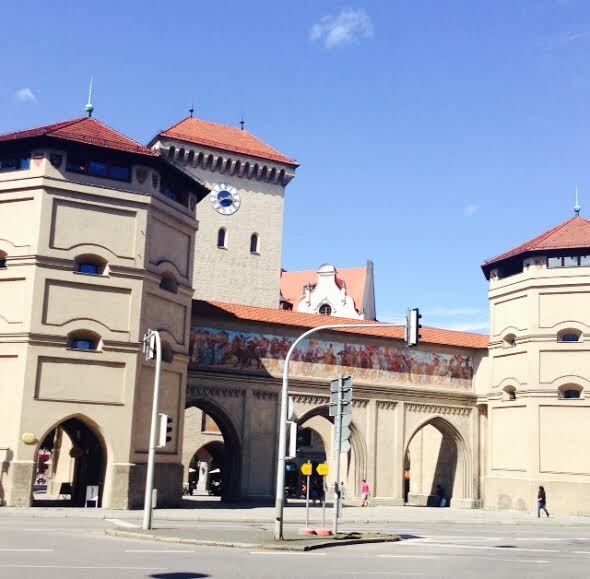 One cannot be in Munich and not delve into the historical significance of the city. It is a well-known fact that Adolf Hitler, after joining the German Workers Party in Munich, gave his first speech at the famous beer hall – The Hofbrauhaus as it is called. The historical significance and grandeur of this gigantic brewery still leaves me in awe. It is the city that saw Hitler’s rise to political power and the formation of the Nazi Party in 1920.Munich is also home to the infamous Dachau Nazi Concentration Camp that houses the stories of how the prisoners were mercilessly tortured and terrorized. Being a history buff I visited the camp several times with an eager curiosity but each time I left it with a numbing silence. Having been bombed in the war, Munich was completely rebuilt post the US occupation in 1945 but in keeping with the old and exquisite architecture instead of modernizing them – another element of intrigue for me. Walking through the cobbled streets and surrounded by varying styles of architecture – from the frills on building balconies to the intricate designs on the facades, often times I tend to forget the extent of the destruction that this mesmerizing city had endured. Munich is special to me also for being the place where I was able to finally open up to a suppressed talent that I unknowingly possessed – that of writing – perhaps brimming from the inspiration that the move to Munich had ostensibly drawn in me. Being an expatriate housewife in any country means it is imperative to keep oneself busy and socialize with others from time to time. Luckily for me, Munich has so much to offer that I find myself pressed for choice every week on how I should indulge myself. I joined an International Womens Club through which I have met some wonderful ladies from across the globe that engage in a wide and impressive plethora of activities from charity and fund raising to sports like Tennis and Yoga to even city walks and tours. The diversity that Munich has to offer in terms of people, culture, food, entertainment and even open, green spaces is certainly unique and quite unparalleled, in my view. Even after two years I feel like I have just been able to scratch the surface of this exciting city. Being so well connected with many other exotic countries in Europe, we have had the good fortune of seeing a lot of Europe but it is always good to come back home to Munich. As all good things come to an end, our stay in this enchanting city may well come to an end next year, but my love for it will only grow. 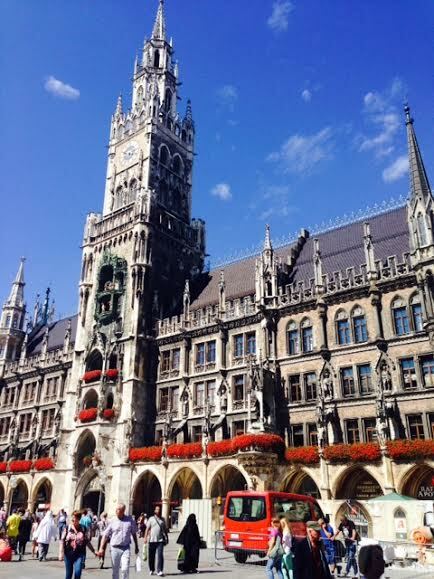 If you haven’t been to Munich as yet, I suggest you include it in your next travel itinerary! You have my word, you won’t regret it! Very nicely written Shaira.. I am in Munich for 5 years and feel dream city to live. Hi, what do you mean beach in the summer? Is there a city beach? Thanks! Hi Sandra. Yes there are beach areas along the river that runs through the city. It’s a lovely getaway for a few hours in the day with some beers and friends!